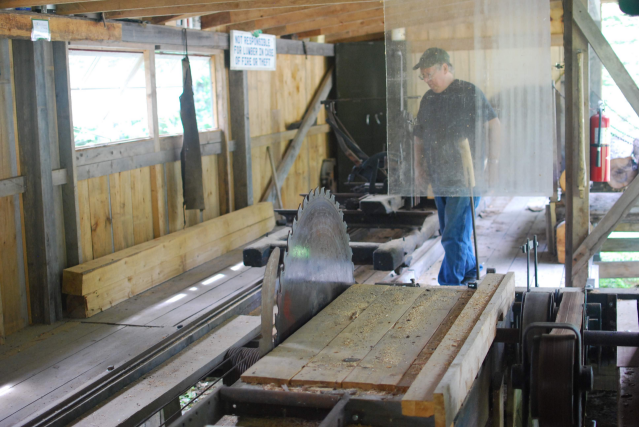 The Maine Forest and Logging Museum held it’s 2018 Heavy Metal event on Saturday, July 28. 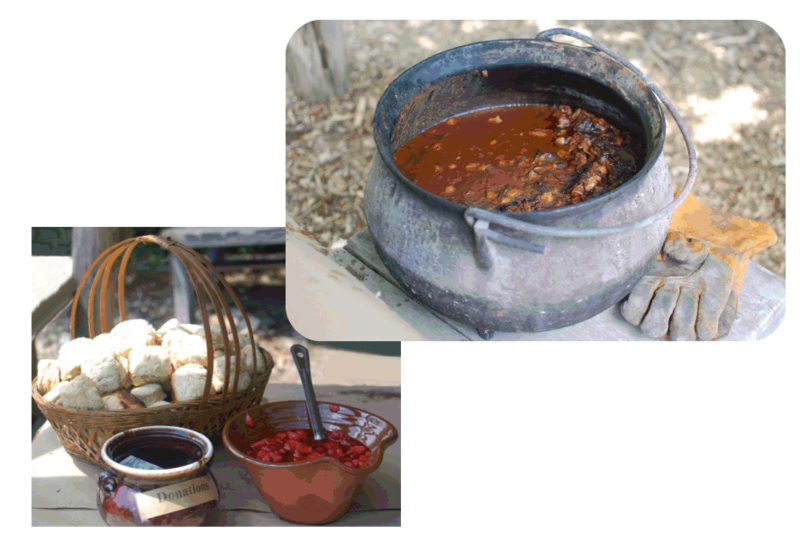 The many people that showed up were treated to a variety of demonstrations and activities. 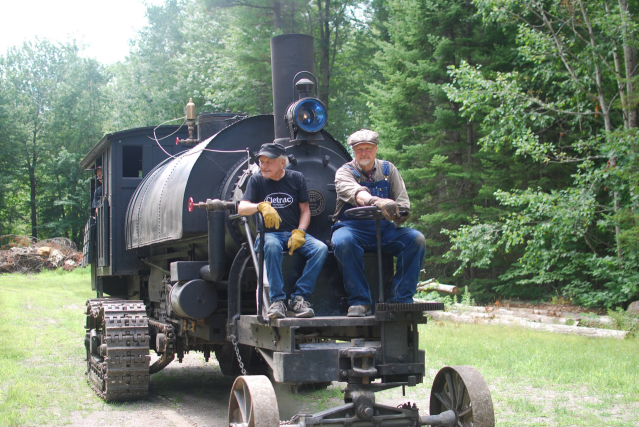 A special thanks to Lombard crew members Terry, Chuck, Jay, Lew, Paul, Sean, and Dylan for another great steam Lombard run on the hottest and most humid day yet. 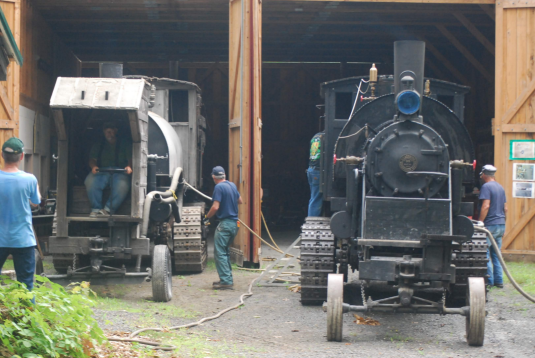 The crew lubed and washed both steam Lombards. They prepared and ran #38 most of the day in sweltering heat. Terry brought some amazing Choking Good Blackman Stream Alewife Pate that he made with Alewives he caught and smoked this spring. The Lombard Boys Band entertained us with great music. We had a little challenge parallel parking the Lombard, perhaps due to too much Alewife Pate. 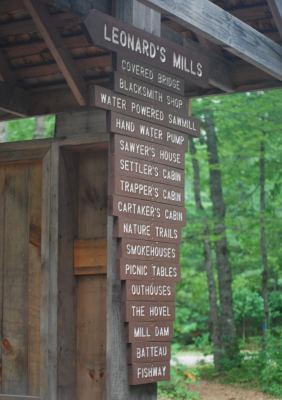 The Tuesday Crew ran all of our sawmills including our water-powered mill with no loss of fingers. 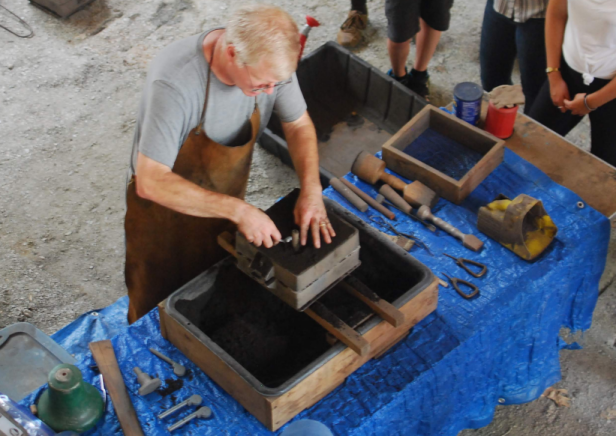 Peter put on an impressive sand casting demonstration, making several Lombard parts. 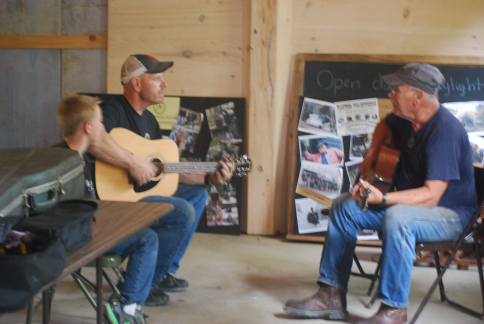 Visitors enjoyed many different hands on blacksmithing demonstrations. 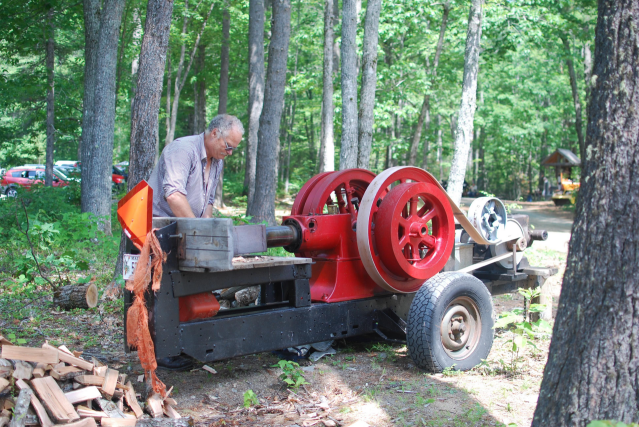 Calvin split much firewood for us using his impressive depression era wood splitter. 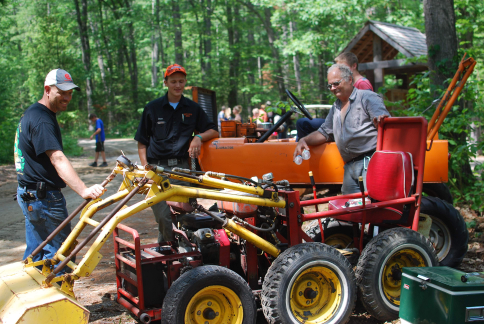 Rusty Gold Farm brought and demonstrated several fascinating off road machines. 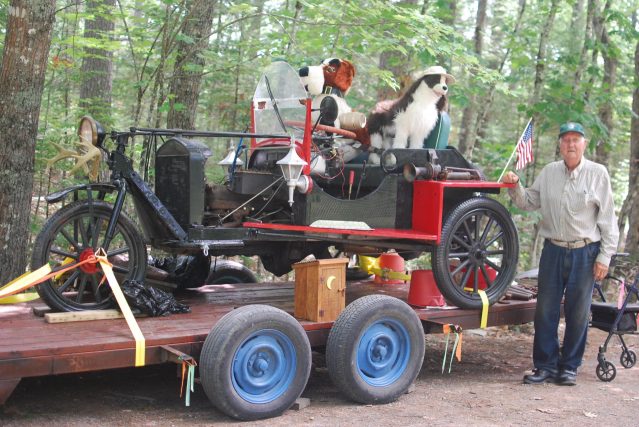 Ed Buck aired his dogs in his 3-wheeler model T.
The bean hole beans were the best ever. 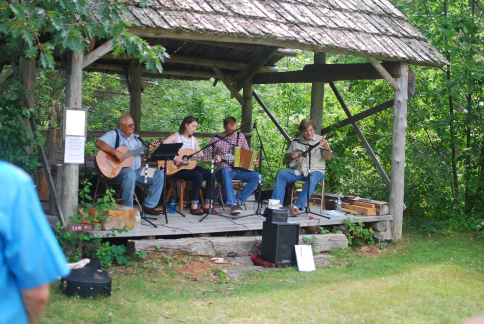 And From Away Downeast entertained with logging camp songs.